Hi folks! I am so honored to bring my first guest-posted (other than my wonderful husband) to my blog! Patricia Green has agreed to stop by and tries to get to the bottom of real life experiences verses what actually stimulates us to read about in spanking fiction. She gives us a lot to think about! You like to read spanking stories; if you’re here, that’s pretty much a given. But there’s no way I can know if you’ve ever experienced a spanking, live in a spanking household, or if it’s simply a fantasy for you to indulge in now and then. I can’t know what gives you the warm fuzzies or maybe the willies. One thing that sometimes makes a reader go hmmmm, is the tool used for the spanking in the book. Many authors – myself included – try to change up the implements from one spanking to another. There’s nothing so perfect as the tried-and-true male palm against a turned-up fanny, but variety adds a level of fun and fantasy. Are these tools ever used in reality? Yes! Let’s take wooden spoons, for example. 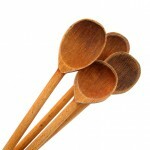 Nearly every household with a kitchen has a wooden spoon. Have you ever had your fingers swatted while your mother or significant other was stirring something? Imagine that on your bottom. Ouch. Spatulas are also handy. Though I don’t use the metal kind in my books (I’d be concerned about possible cuts), I do include spanking scenes with silicone spatulas and wooden spatulas. They make a particular unmistakable thunk sound. If you’re not ready to experience it on your tush, then try it on your palm. You’ll hear what I mean. Household implements are key ingredients in spanking stories, and they’re not limited to kitchen items. I wrote a scene where a hero looks around a guestroom in his father’s home and spies a long-handled plastic shoehorn. I didn’t make this up out of thin air, either. I actually saw it in a doctor’s office, innocently leaning against a doorjamb – all eighteen inches of it! It made a great and different spanking tool in the book. Have I ever experienced it myself? No. It didn’t seem appropriate to try it out in the exam room at the doctor’s office. But it was different and fun and had my imagination going. Which leads me to the notion of reality in fiction. Do real people use spatulas, leather-soled slippers, spoons, and leather bag straps to spank the person they care about? Based on my own experience, and many conversations with other spanking authors and persons involved in Domestic Discipline relationships, I’d have to say yes. Although we all crave the intimacy of the hard palm, there is something deliciously scary when you first see his belt being removed from its loops, or his hand grasping that soft-leather-soled slipper and heading toward you! It’s the kind of scary you get with roller coaster rides; you know you’re safe, but this might be the one-in-a-million chance you’ll be tossed out of the car. Or, in this case, spanked until you’re black and blue. No one wants injury, but you have to have a lot of trust to submit to a spanking that isn’t a hand spanking. And yet, people do it all the time. When you’re reading spanking books, do you think about how you’d personally be affected by the use of an implement? Would it be scarier? Would it be more titillating? Would you run screaming from the room? Are there any creative spanking implements you’ve thought about but never read about? Do tell; you might find them in my next book! Thank you, Korey, for having me here today. It’s a pleasure to work with someone as professional and friendly as you. My latest release is Journey’s End. 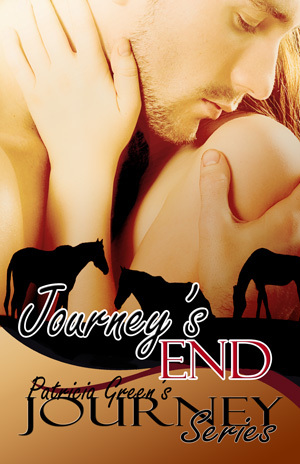 It’s the final pre-planned book in the Journey series, although I reserve the right to add to the series as I have with an Easter story and a Valentine’s novella. Well-loved housekeeper and substitute mama, Consuelo, is hospitalized in this sixth of the Journey family books. The Journey family is torn up about it, especially Leo Journey, patriarch of the clan. Leo’s extreme upset trickles through the family, and causes a rift between his eldest son Ace and him, that has everyone worried about the fate of Journey’s End, the family ranch. All the siblings rally around to try to fix this breach and get Journey’s End and Ace and Leo back on track. They can’t help wondering why Leo is so much more emotional than they’ve seen since their mother died some twenty years before. Throughout it all, the Journey siblings and their mates share the deep love and affection that is so much a part of the Journey way of living. And, somehow, there’s always someone needing a good, hard spanking, often followed by good, hard loving. Join the Journeys for this series conclusion. Find out what happens at Journey’s End. Check out excerpts and character sketches at Patricia’s Website! Journey’s End can be purchased at Blushing Books in all formats.